ann@hoevetlaw.com A native of the Portland area, Ann began her career as a criminal defense legal assistant/paralegal in 1985, and has been with Hoevet Olson Howes since 1998. 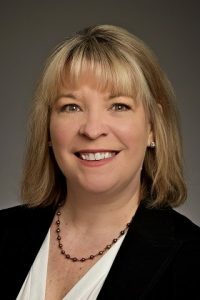 Because of her many years of experience working with criminal defense attorneys, all with outstanding reputations, she is uniquely familiar with how a well-crafted criminal defense is put together. Ann is an integral part of our team, and works closely with the attorneys to ensure delivery of the most efficient and highest level of client service. Ann assists in the overall daily operation of the firm’s practices and is available to you should you have a question about your case and one of the lawyers is not available to answer your question immediately. This is part of our promise to always be able to provide you information about your case.